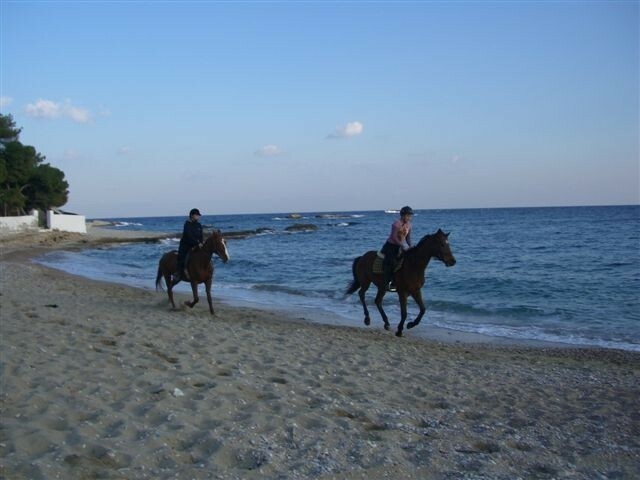 Ayia Marina beach, otherwise known as 'Paradise', is the first main beach travelling from the town via the east side of the island. It is a mix of pebble, fine shingle and sand. Wooden boarding is laid down between sunbeds in the summer months, to avoid feet getting burnt on the hot sand! It has sunbeds from one end to the other with sun umbrellas and has a beach bar and restaurant, which stays open all day and most evenings, when the island is at its busiest. There is a watersports aea to the right hand side, with water skiing; windsurfing; jet skis; rocket and a giant pedaloe with slide, for about 4-5 people. Excavations were undertaken in 1970 and 1971, to reveal seal stones and pottery. This indicated that the Ayia Marina headland was the site of an early Helladic settlement. 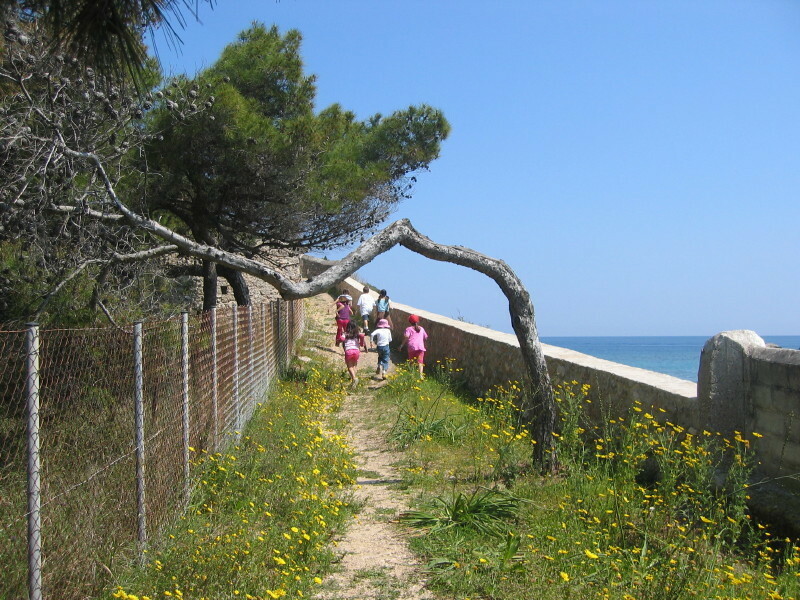 This headland, although much eroded now, was then a shelter for vessels travelling from the Cyclades Islands to the Peloponnese. 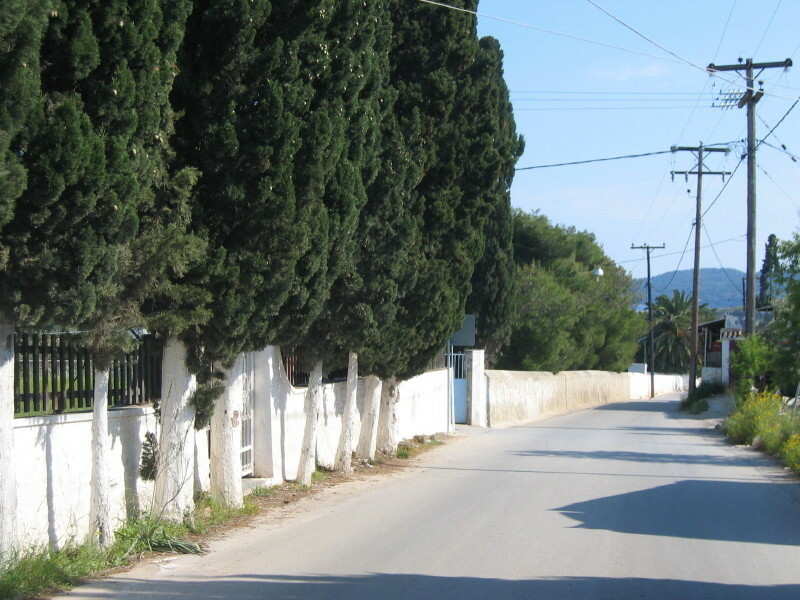 Spetses may well have been a transit island between the Greek islands and the mainland, as maritime commerce was then at its height, in the early Helladic civilisation. Churches & their Saints: Ayia Marina chapel on the hill, reached by path from the left hand side of Ayia Marina beach.